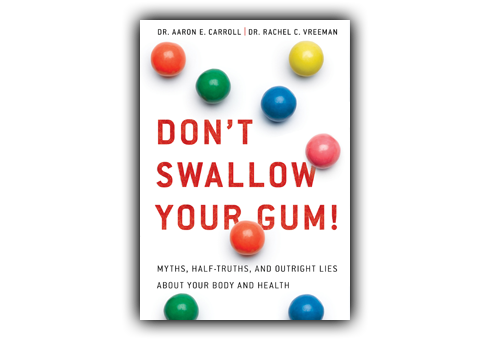 A follow-up to the hit collection of health myths, DON’T SWALLOW YOUR GUM!, featured on Dr. Oz, and CNN and in the New York Times, USA Today, and more. The ultimate myth-busting collection of beliefs about health and the human body. With the perfect blend of authoritative research and a breezy, accessible tone, DON’T SWALLOW YOUR GUM! is full of enlightening, practical, and quirky facts that will debunk some of the most perennial misconceptions we believe. Many of us have tried-and-true rules for avoiding illness. But if you subscribe to the theory that heading outside with wet hair will make you sick; bubbles in soda can make your bones brittle; or hot peppers can cause stomach ulcers, think again. Those ideas just aren’t true, says a new book that explores popular health myths. 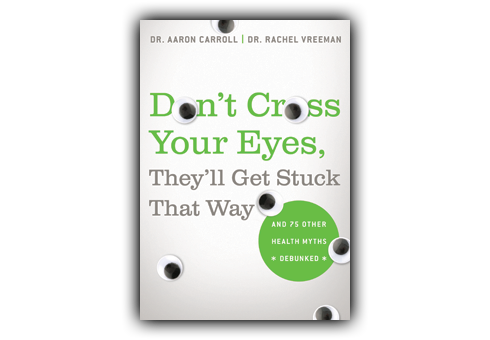 Aaron and Rachel’s research has been featured in The New York Times, USA Today, The Los Angeles Times, Scientific American, Newsweek, and many other publications. They have appeared on Good Morning America, CBS Evening News, and ABC News NOW.